Spiders are not insects but are closely related. Spiders have eight legs instead of six for insects and they feed on insects. Spiders can be found both indoors and outdoors depending on the species. Some outdoor spiders make their way indoors when the weather turns colder. All spiders have venom of some sort. They use it to subdue their prey and to aid in digestion. Some spiders can bite people. 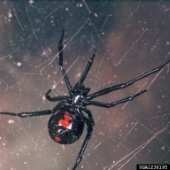 The most harmful are the black widow and brown recluse spiders. The wolf spider is often confused for the brown recluse spider. The wolf spider can look quite menacing and with its quick movements, it can startle or scare unsuspecting bystanders. 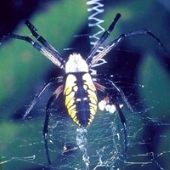 Spiders can also be a nuisance because of the webbing that some of them make. At times the webs may look quite beautiful but can look unsightly when they are on buildings collecting dirt and debris. Regardless of which spiders you are dealing with, go with the company with the experience and knowledge to take care of your spider problem. Contact for a free estimate and consultation.